at Word Up Community Bookshop. A multi-talent showcase featuring Heights-based storytellers J Holtham, Megan Sass and Eric Vetter, Hip Hop artist Ppul and Spoken Word artist Soli, plus music from Demetrius Daniel and Miles Alexander. Hosted by “Fish Out Of Agua” author Michele Carlo. Participate in our open mic and compete in Heights trivia! 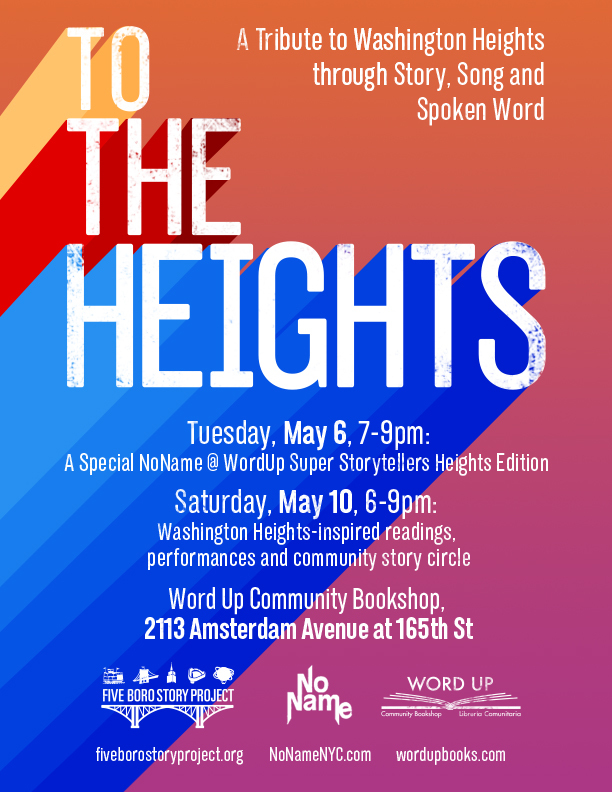 6:00pm Join our community Story Circle to share your memories and stories about Washington Heights and socialize with neighbors. 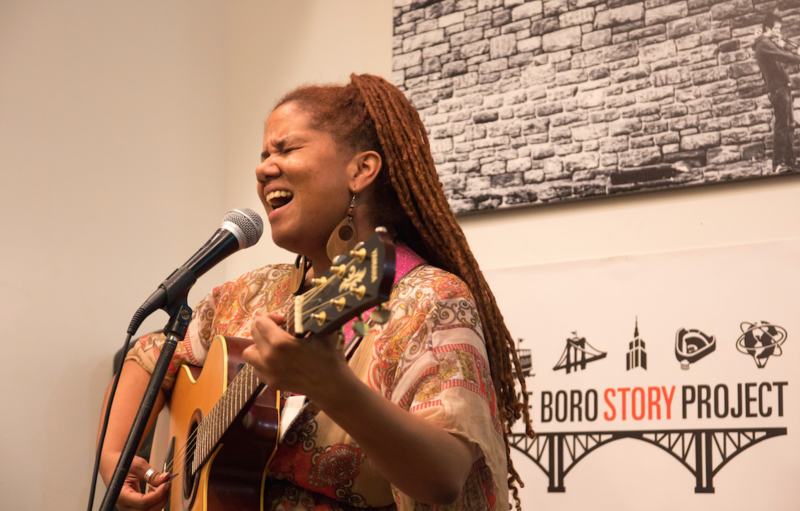 7:00pm Enjoy a Washington Heights extravaganza with readings and performances from local authors, poets and musicians, including storytellers Mike Brown, Michele Carlo, and Jim Mendrinos, poet Rich Villar, and singer-songwriter Carla Lynne Hall! 8:15pm Participate in our Open Stage, where anyone can do anything! Refreshments generously provided by Heights Tavern and Columbia Wine. Word Up is located on 2113 Amsterdam Avenue, on the corner of 165th Street. Take the 1, A, C to 168th St or the C to 163rd St.
View “To The Heights” photos HERE.